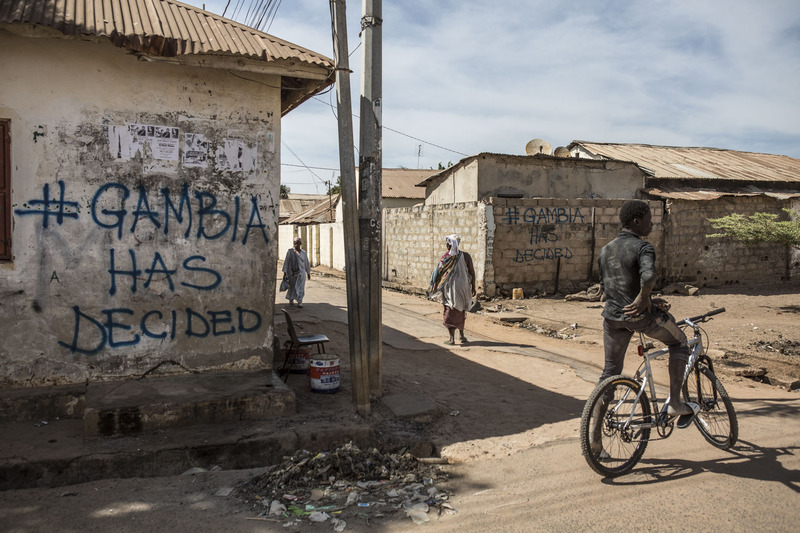 In response to the incumbent, Yahya Jammeh, refusing to step down from power, a grassroots movement #GambiaHasDecided emerged. Activists initially set up billboards with the #GHD slogan. The billboards were soon torn down by Jammeh loyalists. Not to be intimidated or deterred the activists turned to spray painting the slogan to make it harder to erase.